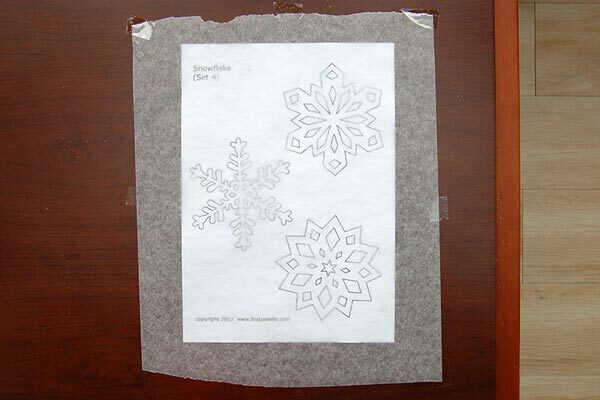 Make your own snowflake window clings using white glue. 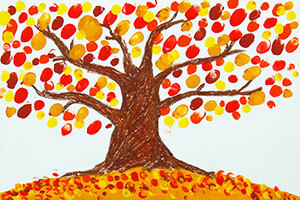 Stick them onto windows and glass panels to give any room a wintry feel. 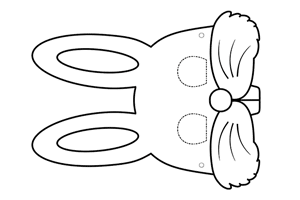 1Print out the snowflake template. 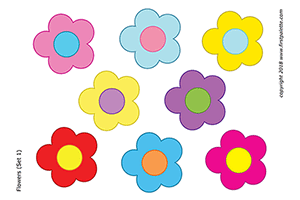 Print out any of these snowflake templates on A4 or Letter size paper. 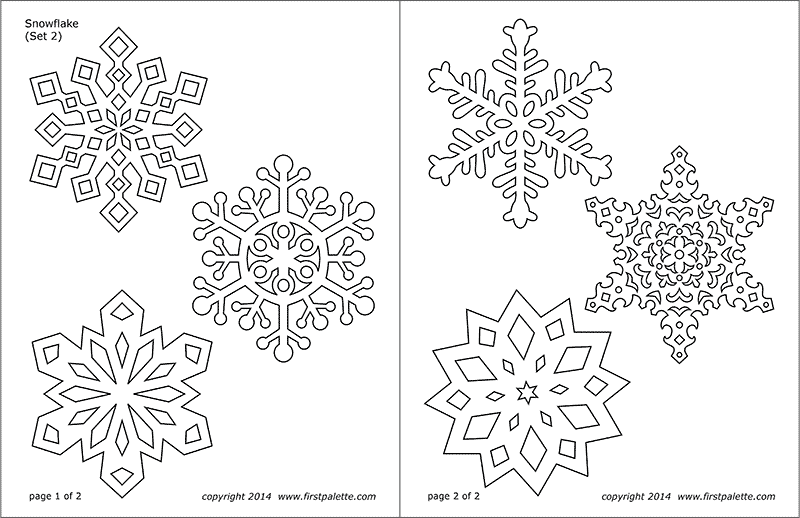 We think that the snowflakes in Sets 2 and 3 are the perfect size for making window clings. 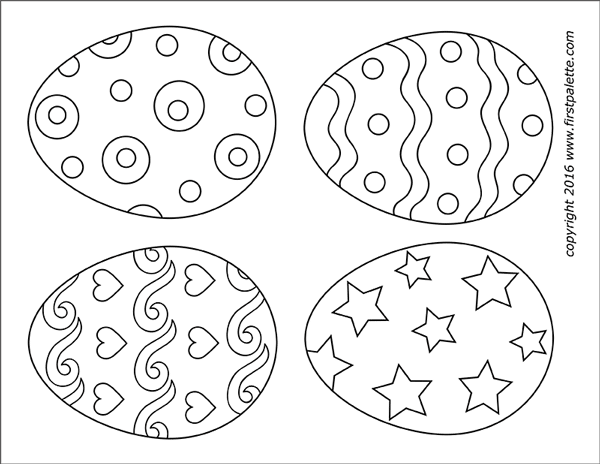 These templates are not a must, you can always do without a pattern. 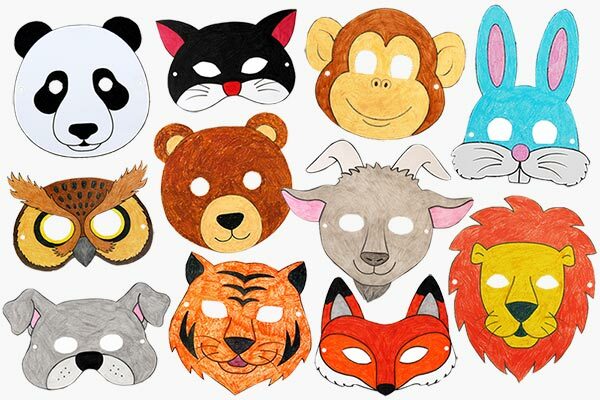 2Place a sheet of wax paper. 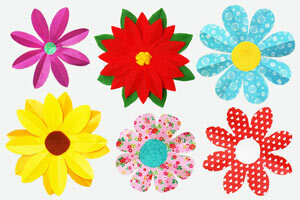 Place the snowflake printout on a flat surface and tape it in place. 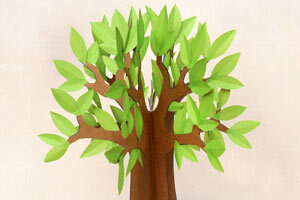 Lay a sheet of wax paper over the printout and tape the edges in place as well. 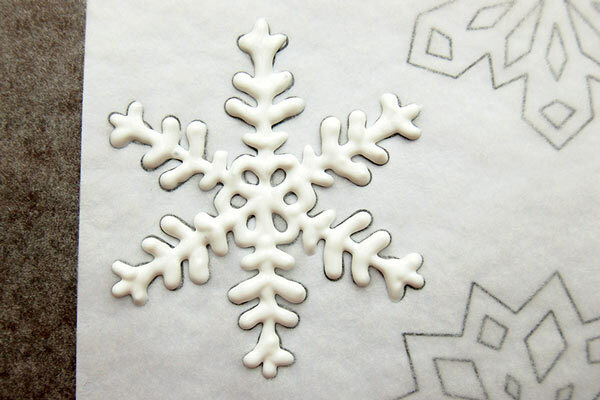 If you're not using a snowflake template, draw a snowflake outline directly on the wax paper. 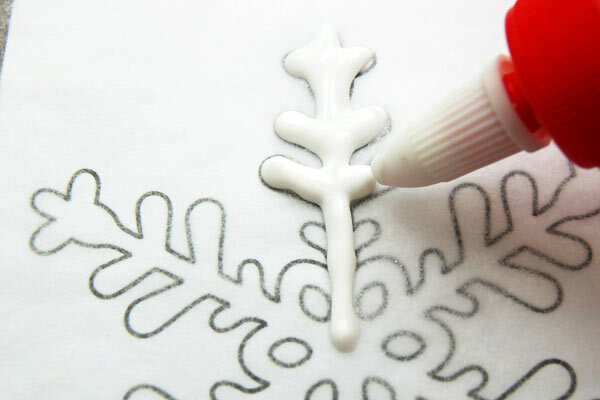 Apply white glue inside the outline of the snowflake. 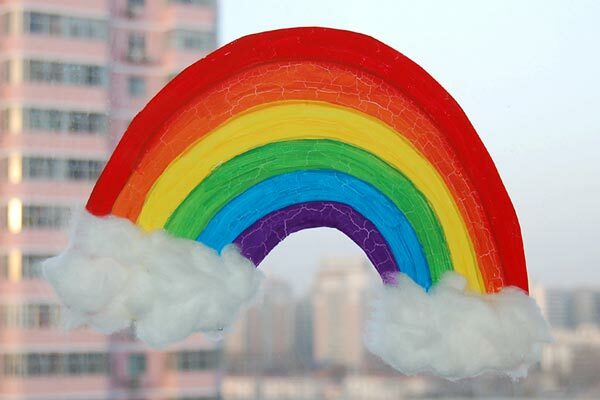 Try to make the white glue lines as thick as possible. 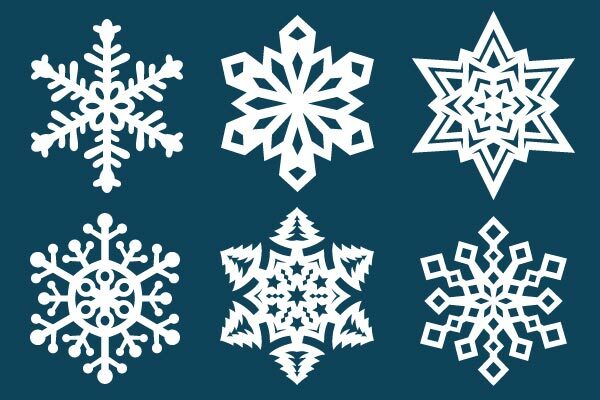 Continue until you have filled the entire snowflake outline with white glue. 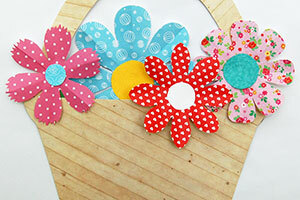 Create more white glue snowflakes following the steps above. 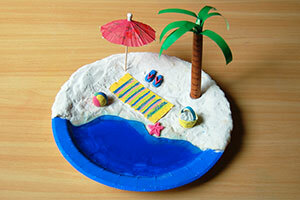 The glue will take 1-2 days to dry completely. 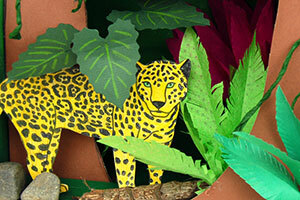 You'll know it's done when the glue hardens and turns completely transparent. 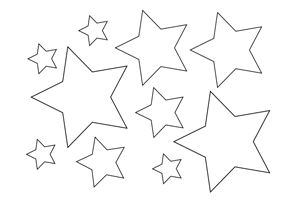 Once dry, carefully peel off each snowflake from the wax paper. 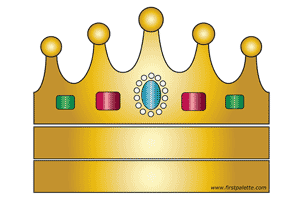 6Moisten the white glue snowflake. 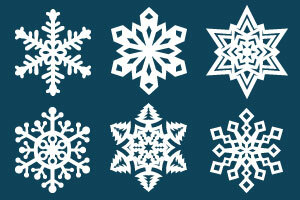 To allow the snowflakes to cling, slightly wet the bottom or flat side of each snowflake using a damp paint brush. 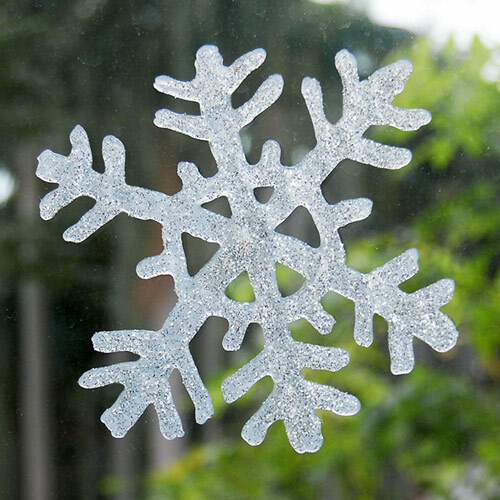 Carefully stick the wet side of the snowflake onto the window's glass surface. Press on all sections of the snowflake to make it cling to the glass. 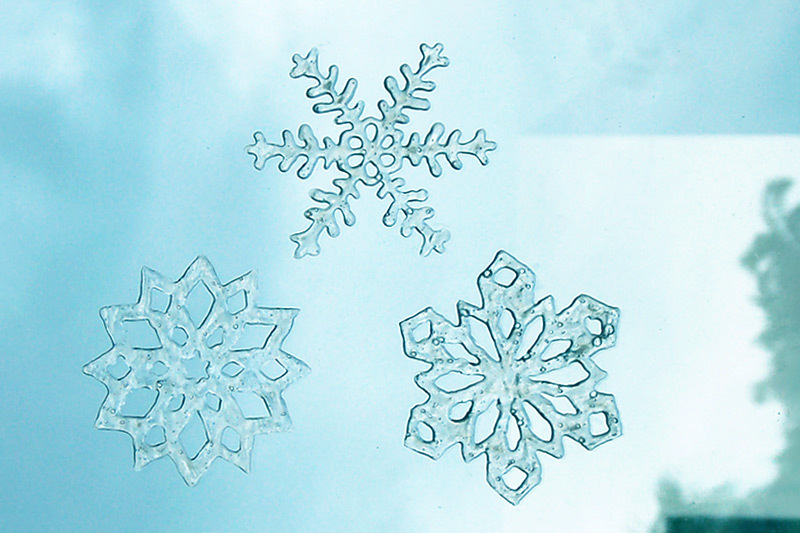 Similarly moisten and stick the rest of your white glue snowflakes onto the glass. The snowflakes will look a bit cloudy because of the moisture. 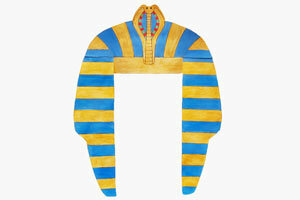 Once dry, they will turn completely transparent. 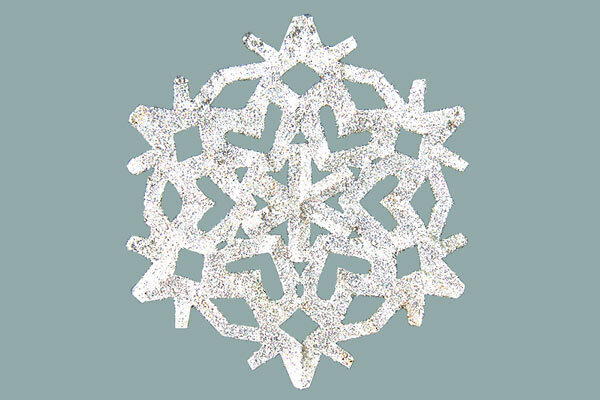 To make your snowflake more sparkly, sprinkle silver glitter onto the entire white glue snowflake after you have filled the snowflake outline with glue in Step 4. 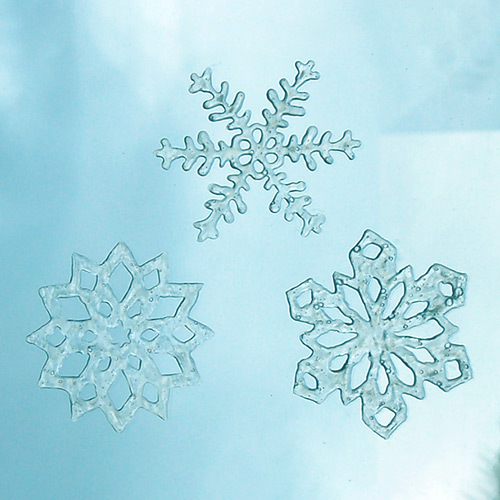 Instead of wetting the back of the snowflake (Step 6), use double-sided tape to stick the snowflake onto glass.